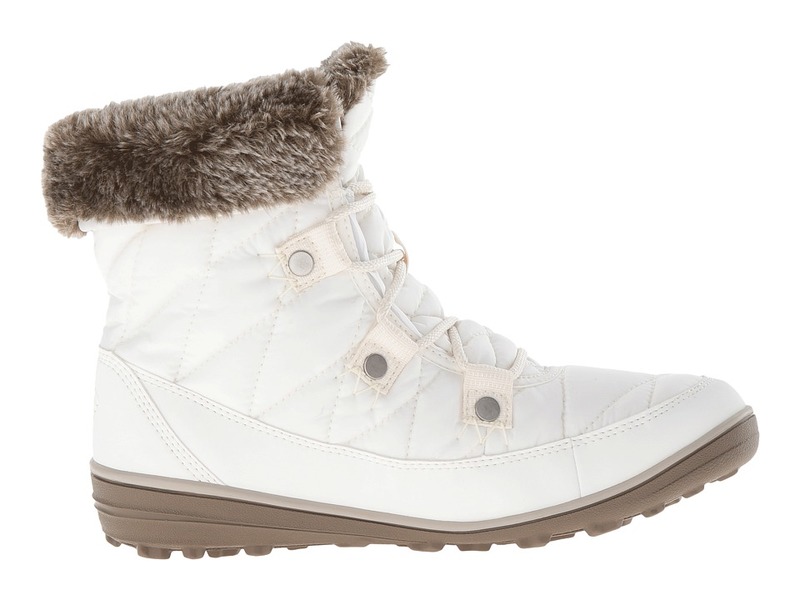 Snuggle up tight and keep soles in toasty warmth in the Columbia Heavenly Shorty Omni-Heat boot. ; Omni-Heat Reflective Thermal Reflective Warmth technology utilizes a breathable material with little silver dots that reflect body heat. ; Omni-Tech waterproof, breathable membrane locks out water, while allowing moisture to escape. ; 200 g insulation retains warmth. 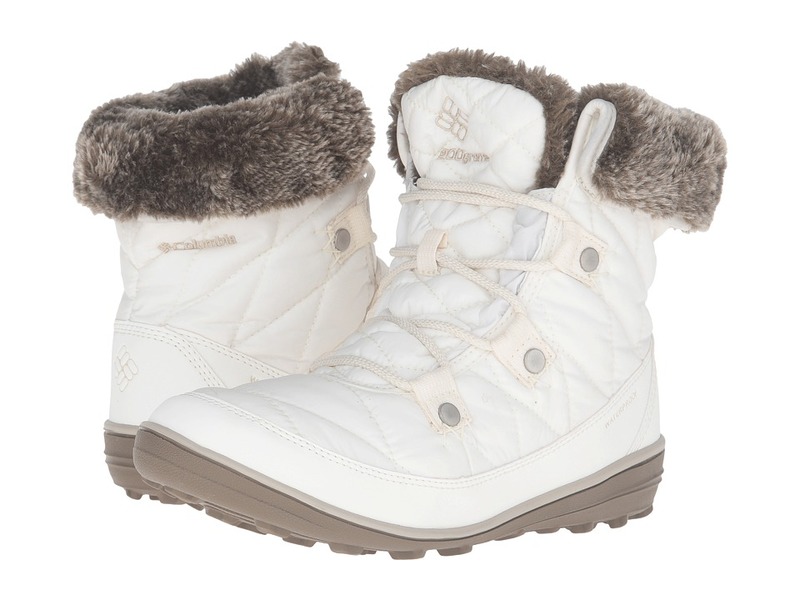 ; Rated for temperatures down to -25&#176;F/-32&#176;C. ; Waterproof, two-tone, quilted woven synthetic textile uppers. ; Lace-up closure. ; Metal rivets and aglets. 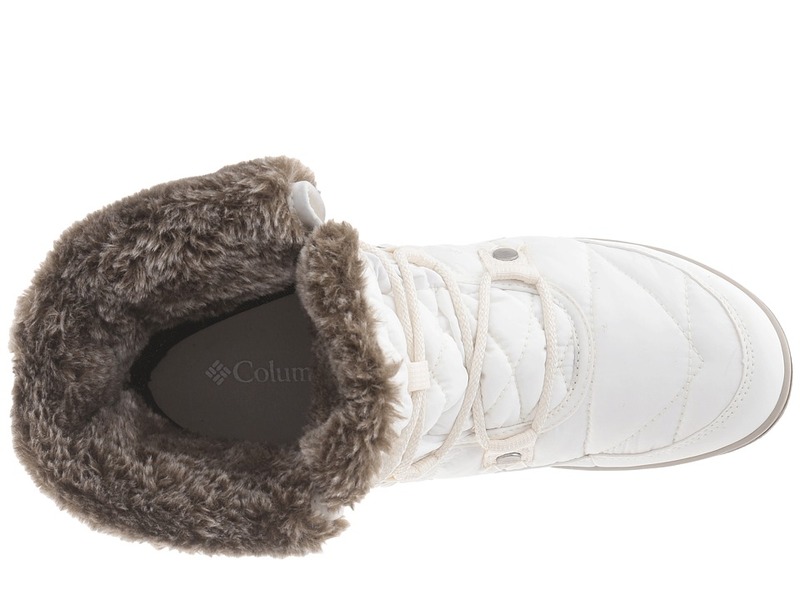 ; Plush and cozy faux fur collar. ; Textile lining. ; Removable, contoured PU footbed. 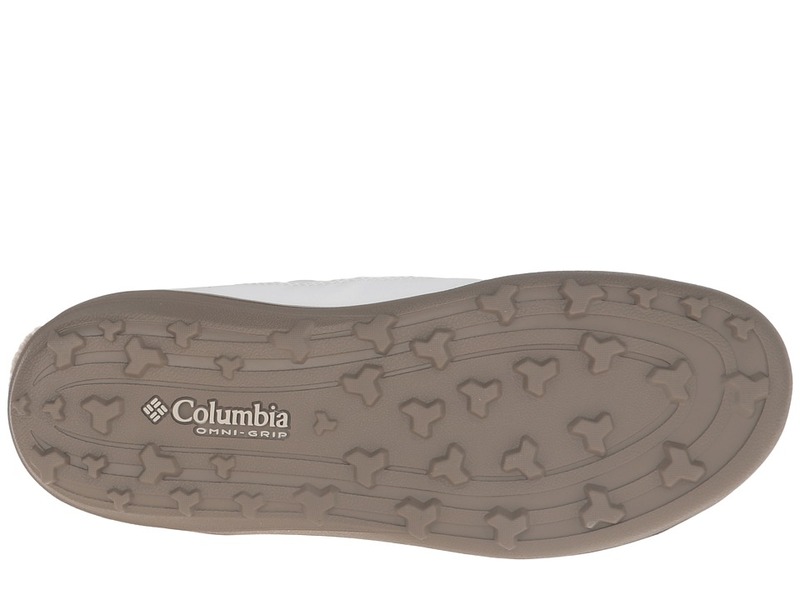 ; Non-marking Omni-Grip Advanced Traction outsole delivers optimal traction. ; Imported. Measurements: ; Weight: 14 oz ; Shaft: 6 in ; Product measurements were taken using size 8.5, width B – Medium. Please note that measurements may vary by size.